Glenmorangie Companta. The Master Comes Back To Red Wine. Glenmorangie just came out with its fifth annual limited release. 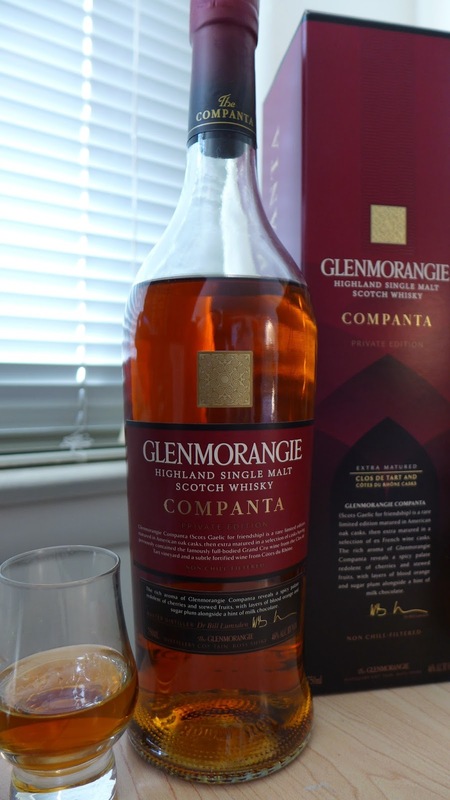 This year it is titled "Companta" which means "Friendship", which Bill Lumsden, master blender at Glenmorangie, said refers to the ancient (1295-1560) Scottish historic alliance with France against England usually referred to as "The Auld Alliance". The relationship with France is the central narrative with Companta as this is a red wine finishing barrel management story with wines from the Côtes du Rhône region. Red wine finishes on single malt whiskies are tricky. They can impart sour flavors, can overwhelm, and are hard to balance. 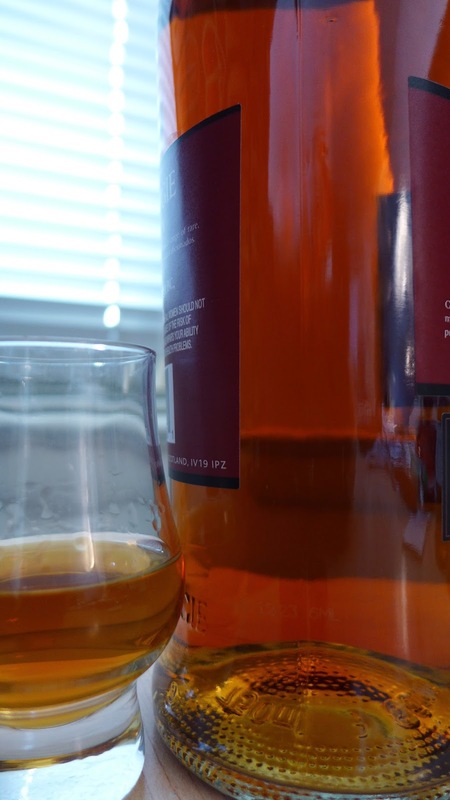 "I don't like red wine finishes" is an almost automatic response for some whisky enthusiasts. But we should all keep an open mind. This is a red wine finish with a twist - as executed by someone who really knows what they are doing. I won't withhold the surprise, this one is yet another success. It can't be as easy as it looks, but Lumsden's annual limited editions have all been interesting and worth drinking in one way or another and this is no exception. I suspect this one will go over even better than last year's more purist Ealanta. 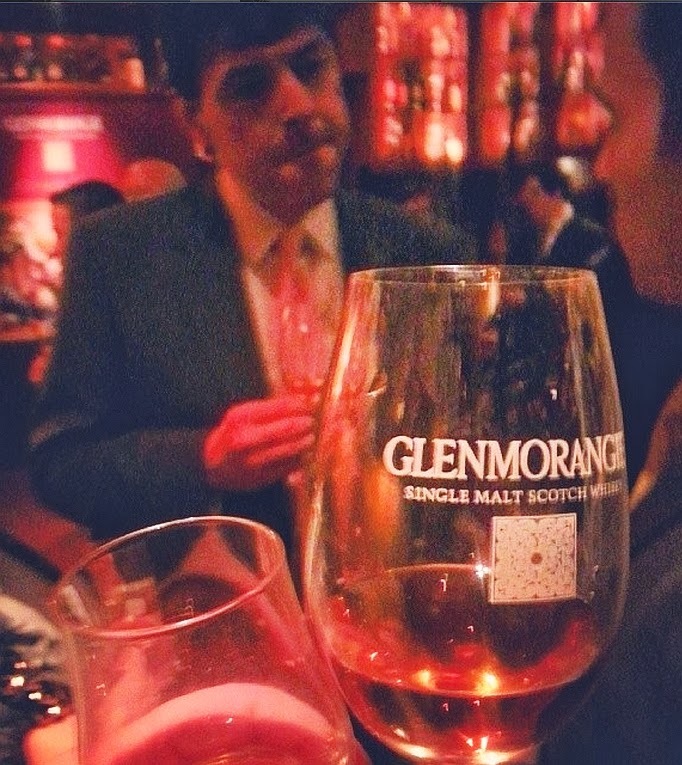 Red wine finishes are familiar terrain for Lumsden and Glenmorangie. In the mid-90s he started the mania for wine barrel finishing with Madeira, Port, and Sherry finished expressions. This led directly to the Sauternes finished Nectar D'Or and famous special wine finished editions from Chateaux Margeaux (a Bordeaux) and the legendary 1975 & 1978 vintage Tain L'Hermitage finished bottling made with casks from the Côtes du Rhône region. Later there was a regular OP Burgundy cask finished version and a more focused Burgundy edition that specified Côtes de Beaune cask finishing. That's a lot of history with using casks, or "Barriques", Lumsden specifies with characteristic precision and excellent brogue. 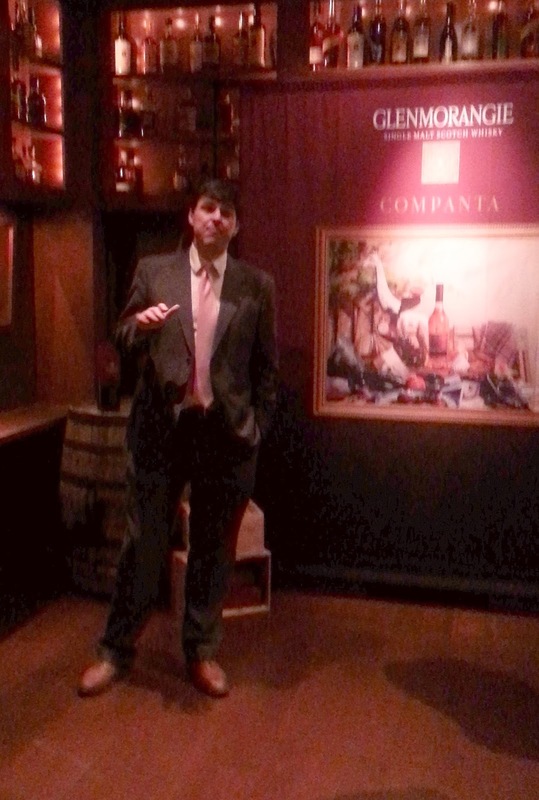 This fascination with red wine hasn't always been well received by everyone and, at a launch event for Companta at New York's Brandy Library, Lumsden alluded to the risks of tartness and possibility of the wine overpowering the delicate stone fruit and floral nature of Glenmorangie's distillate. With Companta, Lumsden has taken two dramatically contrasting wines from them same Côtes du Rhône Burgundy region. 60% of Companta is from a big tart pinot noir "Clos du Tart". Lumsden took 1999 vinage ex-bourbon barrel aged Glenmo which was 9 years old in 2008 and then aged it for an addition 5 years in Clos du Tart for a total age of 14 years. Then he tempered it by using an older sweeter 1995 vintage Glenmo and finishing it in barriques that held a sweet fortified grenache graped Côtes du Rhône called "Rasteau" for an additional 8 years, totaling 18 years. At the Glenmorangie launch event we were poured each of these. It was fascinating to taste the wine flavors that contributed to the cask finished flavors. And the combination of these two contrasting flavors with mature Glenmorangie distillate has produced something greater than the sum of its parts. 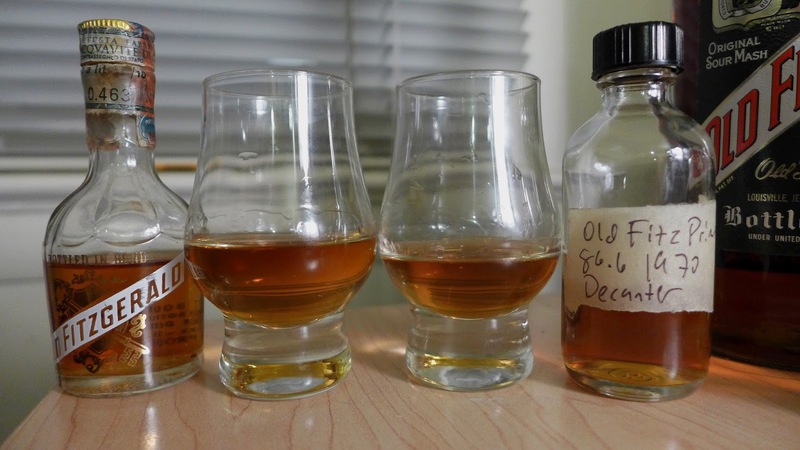 It's hard to taste and discuss this without considering the larger issues swirling around lately: NAS bottings, and the use of fancy barrel finishes to hide younger whisky. Obviously, in this case where the youngest whisky is 14 years old and the rest is 18 that isn't a pressing issue. This one feels like a real exploration of the flavors for the flavor's own sake: an artisinal effort and not an exercise in covering things up. I suspect people who don't like red wine finishes will find aspects to the tartness to the object to. Others who decry the loss of hyper-mature extremely estery glut stock single casks might grouse about the wild showy flavors of Companta as wood management pyrotechnics in the place of the complexities of extremely mature whisky and maybe that's true. 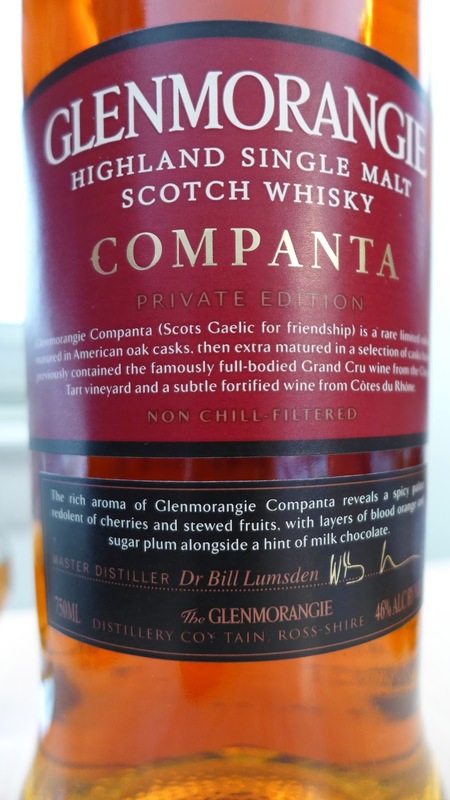 But the wine finish game is Lumsden's innovation and it's a defining aspect of Glenmorangie so if anyone is going to be playing the wine cask finishing game it's going to be Lumsden - and he shows a deft touch here. If anything he seems to be upping his game year over year. Color: russet medium amber, with pink, copper, and gold tints. It's brick red and pink and honey caramel color. One of the more appetizing colors in the bottle and the glass that you'll ever see. Nose: Creamy berry tart with darker notes of chocolate dipped raspberry on rich honey malt. Undertones of forest floor loam, strawberry jam, and earthy sweet and elegant oak. It's an interesting an involving nose. Palate: This isn't a whisky where the nose outshines the palate. The opposite is true. At 46% there is enough intensity for sweetness and fruity acids to pop brightly on entry. The entry is full of milk chocolate, tart raspberry acid-sweet with notes of currant and malted milk with floral vanilla and creamy fudge. 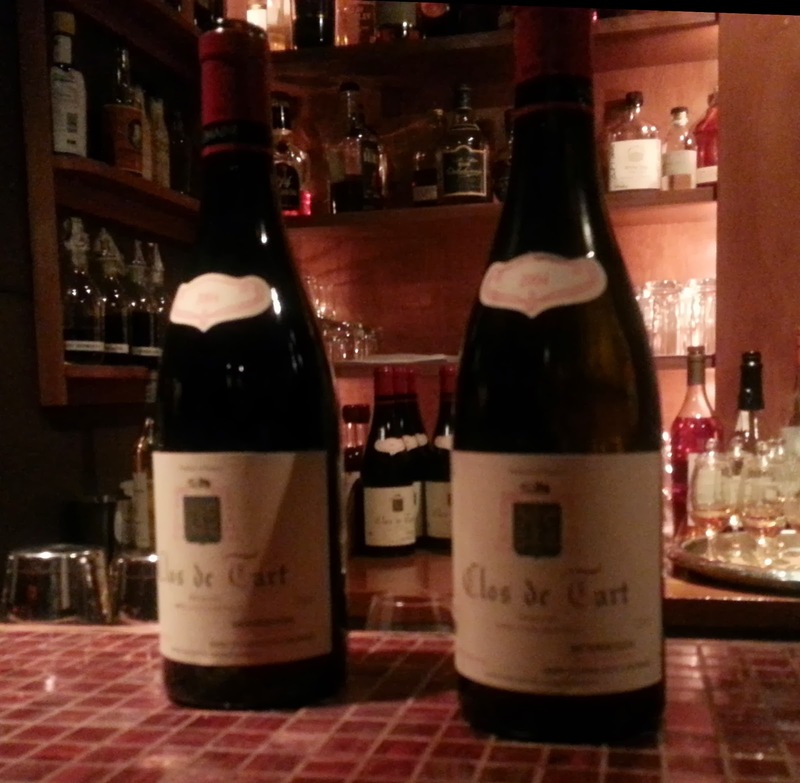 The raspberry tartness deftly evokes the rich acid fruit of the Clos De Tart. There's a good balance between sweet and dry going on. The creamy vanilla floral raspberry tart fruited entry opens into a taut and elegant mid palate expansion full of darker malt, dark chocolate, cocoa, and black currant fruit notes. Thanks to the wine tasting portion of the launch event I can recognize the black currant herbal sweetness as coming from the rich port-like Rasteau (which really comes off as a Port that tastes more of currants than of grapes). 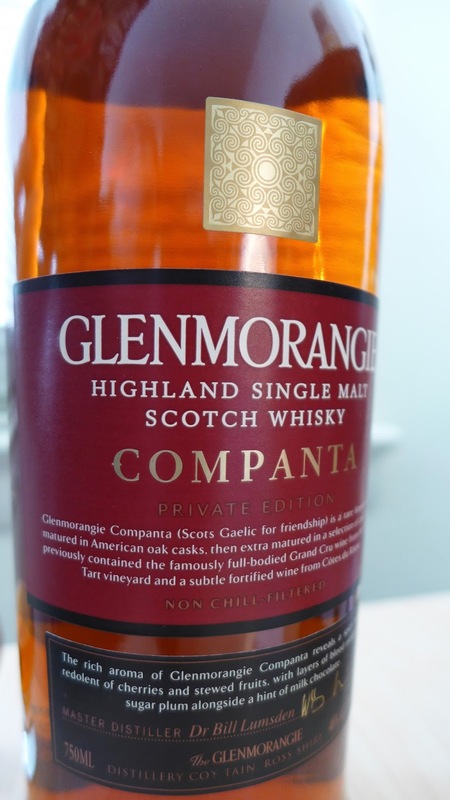 In the mid-palate expansion you can clearly taste the nectarine stone fruit flavors of the Glenmorange distillate itself. Plus undefined additional notes of herbal brush and animal musk. The finish is medium long with lingering fruit skin tartness, pepper heat, cocoa dust, and tannin that reads both of oak and wine. Companta needs air to open, and takes water well. Water increases the estery, sweet, and fruity aspects, and the milk chocolate covered raspberry note even while upping the spicy finish. Companta is a Valentine. A red fruit covered in chocolate - a kiss of sweet from a taut lithe body. This might be the best one yet. Bottom line - as soon as I saw a bottle I bought it and cracked it. 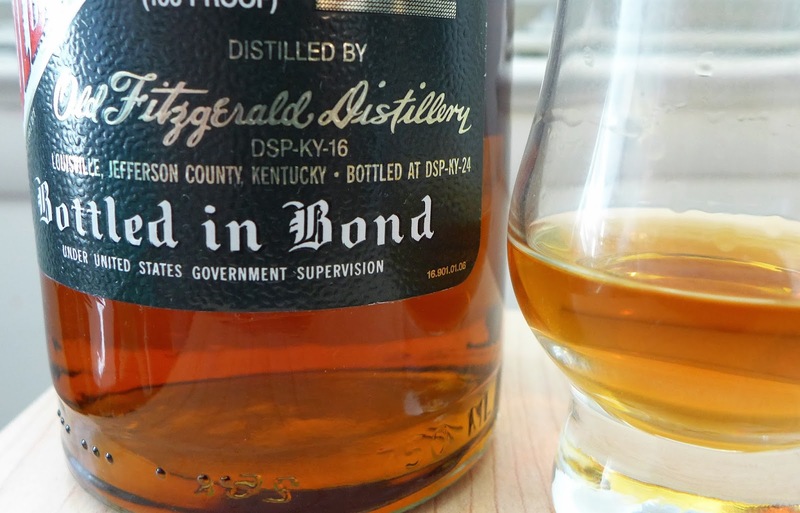 Stitzel-Weller Old Fitzgerald Bonded Bourbons From Different Eras: Speaking Kindly of the Dead. Old Fitz S-W BIBs. 1997 (left), 1959-1966 (right). The story of Stitzel-Weller (S-W) is a story of something very beautiful that died. It has become a symbol and a touchstone of something uniquely and particularly American which is seeming to pass away in a larger cultural sense too - which gives the story a lot of resonance. What that thing is, exactly, is bigger than a single phrase and hard to pin down - but it's along the lines of 'a perfectionist vision of how Bourbon should be made', a Southern gentlemanly code, and a 19th century set of values that placed craftsmanship first and seemed to typify the United States of America in its period of expansion and glory. This period, like the American obsession with craftsmanship itself, went through a nadir where it seemed to disappear, and is now being reborn. Stitzel-Weller is a slice of a vanished America where we made the best cars, did business with a hand shake, and liked richly flavored Bourbon. 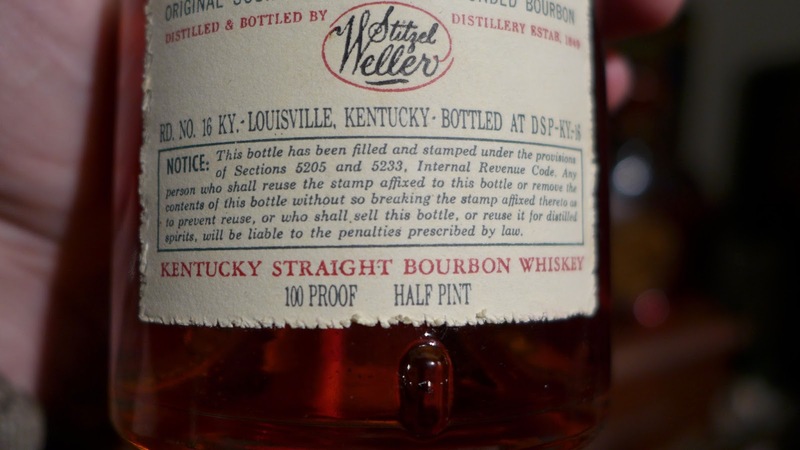 Stitzel-Weller, formed from the pre-Prohibition partnership of Pappy Julian Van Winkle's and Alex Farnsley's Weller (a wholesaler), and A. Ph.Stitzel's distillery, that was incorporated as "Stitzel-Weller in 1933. In Prohibition, A. Ph. Stitzel was one of only six companies in the whole country with a license to distill medicinal whiskey. It ended in 1972 when it was sold to Norton Simon Inc. in the midst of Bourbon's decline. 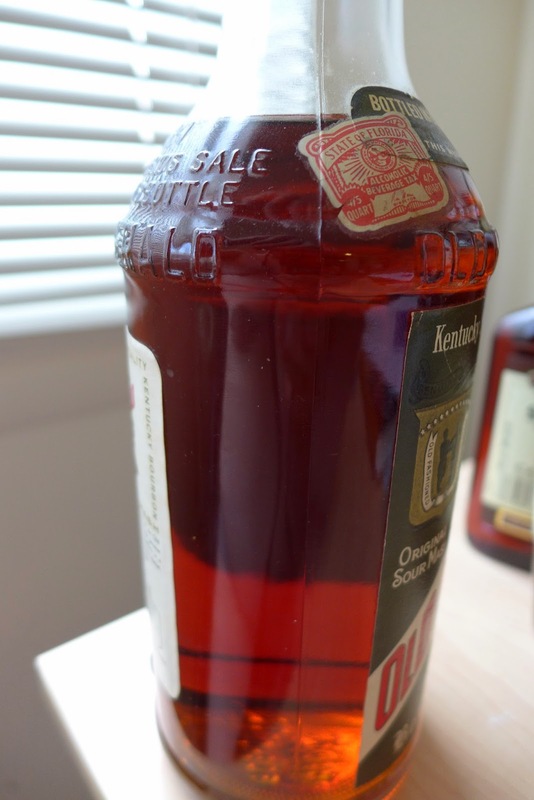 Norton Simon apparently purchased the great reputation of S-W for the expressed purpose of dumping a large quantity of inferior Bourbon that had been made at the Kentucky River Distillery in Jessamine County into a brand that had a market. After the takeover they immediately began mixing this inferior whiskey with awesome S-W stocks in the base expression "Old Cabin Still" (a story with personal ramifications for me, dating back to the early 80s - but that's another post). But even after Norton Simon's takover, the distillery continued to produce Old Fitz and the other brands at a high level of quality. Then the distillery went though a parade of hands and ended up with United Distillers (which formed Diageo later) who finally closed it in 1992 and treated the facility as a semi abandoned asset of warehouses. The whisky in those warehouses has continued to come out in the decades between then and now. Older bottlings of Old Fitz (and other S-W brands) continued to be made with S-W juice for a number of years (until the late 1990s). Postcard of a newly completed new post Repeal Stitzel-Weller distillery circa 1935. "We will sell fine Bourbon. At a profit if we can. At a loss if we must. 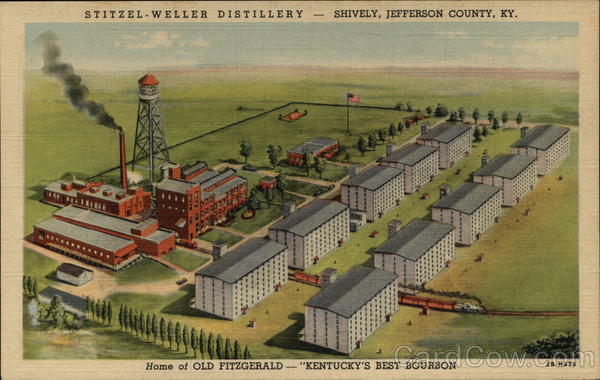 After Stitzel-Weller was born as a corporation in 1933 with Repeal, they immediately began construction of a new much larger distillery in Shively, KY and it was completed in 1935. The Key to Hospitality - reverse label of the 1959-1966 BIB. with Stitzel-Weller in the end). Many of the details in this post come from that book. I highly recommend it. 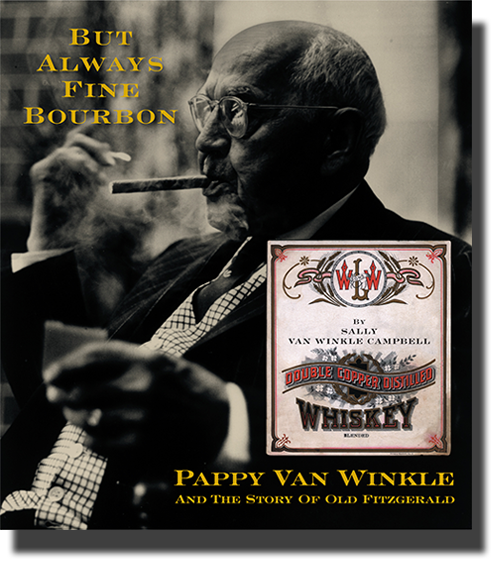 This book certainly contributed mightily to the mystique of Pappy's whiskey. But, honestly, the whiskey speaks for itself. People tend to fall in love with it. Wheated (with wheat in the mash bill instead of rye) - it's very sweet - but the sweetness is balanced by a big load of very mature quality old growth American white oak. 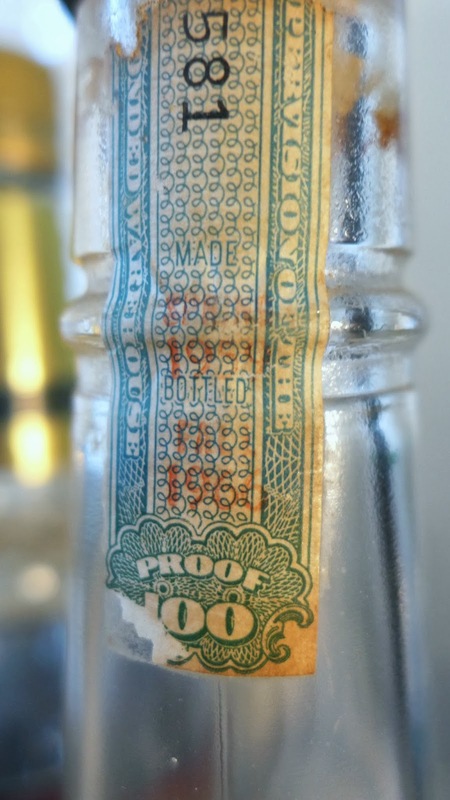 The wheated mash bill is a legacy of A. Ph Stitzel who made this mash bill in his old distillery before Prohibition. 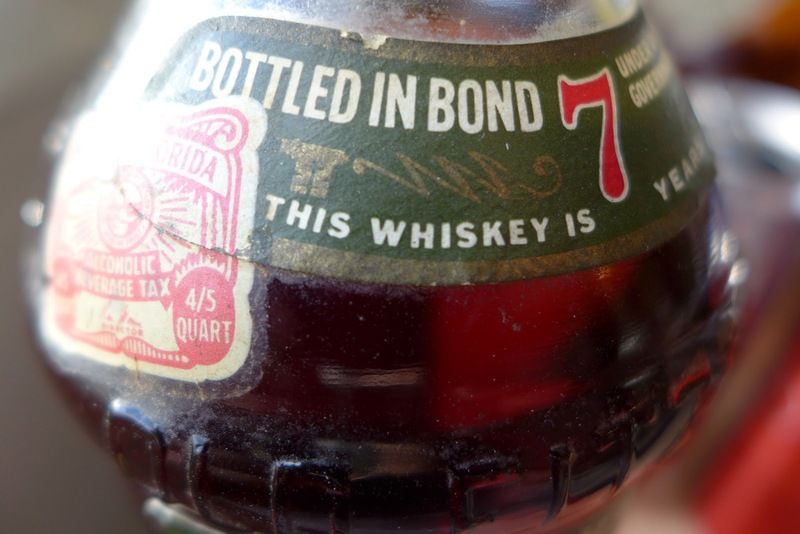 It was the quality of this whiskey which had originally attracted Pappy and led him to the partnership. It was as if Stitzel used oak spice in the place of rye spice to balance the extra load of candy apple sweetness. That was accomplished with barrel management. Pappy's barrels didn't look like regular barrels. The staves were much thicker and thus the coopers had to use an extra pair of hoops so the barrels look enormously beefy and armored. The whisky tastes enormously beefy from the oak perspective as a result. This is a high amplitude balance; the bass of oak and the treble of sweet are turned way up high. But more than this is the dark and rich tonal palette and thick mouth feel. It's nutty and musky like an Olorosso sherry or a dark Cognac rancio This bigness, balance, and heavy richness has made this Bourbon legendary. Stitzel Weller made 4 brands: Old Fitzgerald, Weller, Old Cabin Still and Rebel Yell. They each had a niche. Rebel Yell was the smoothie, with a marketing angle that targeted the South with its residual patriotism for The Confederacy. Cabin Still was lighter and sweeter - "for sportsmen" according to Pappy. Apparently because it didn't need as much air time to open up. Weller was lighter as well, but also stronger. 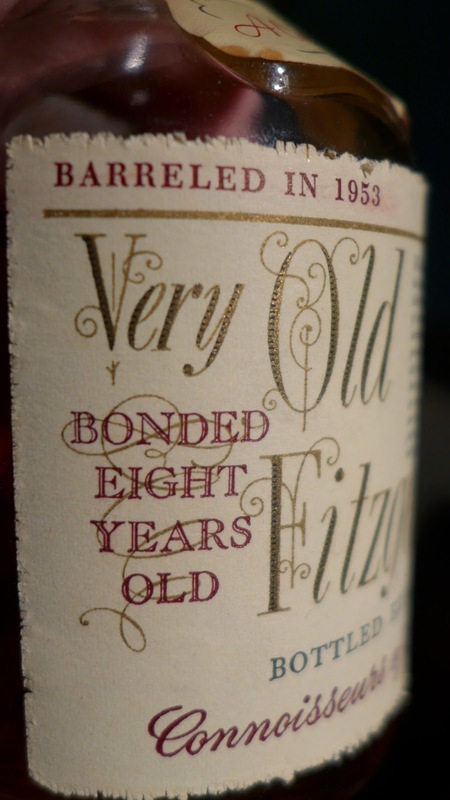 Old Fitz was the unapologetically old fashioned full body and full flavor oak bomb at the top. 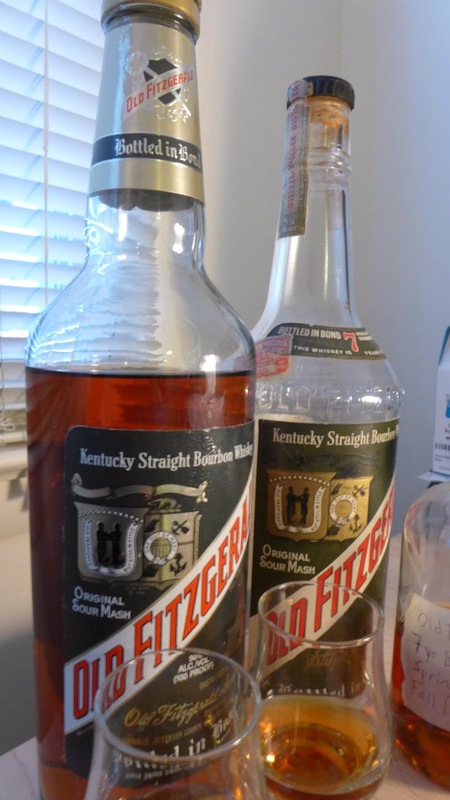 It was sold exclusively bottled in bond at 100 proof until Pappy's death when his son Julian immediately introduced an 86 proof version: Old Fitzgerald Prime. It's significant that Sally Van Winkle Campbell chose to subtitle her history of Stitzel-Weller "The Story of Old Fitzgerald". 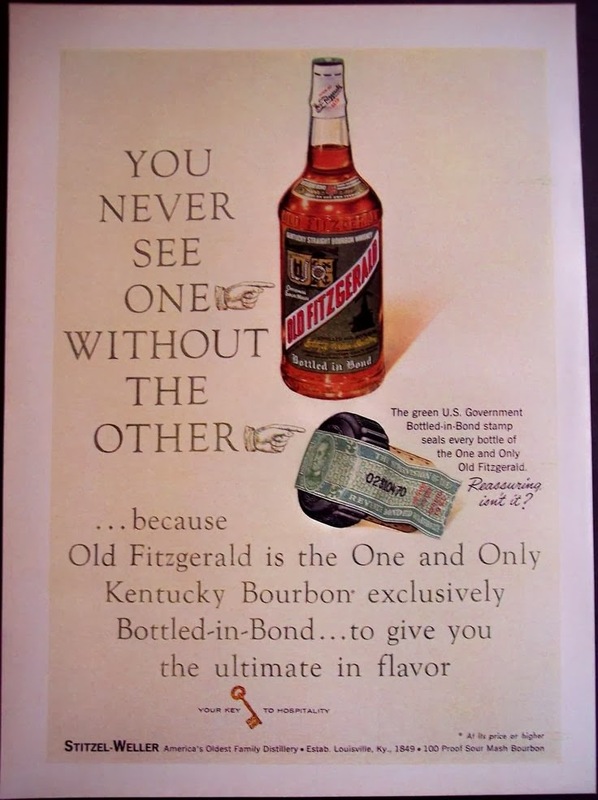 Old Fitzgerald wasn't just another brand in a portfolio: it's was Pappy's statement product. Pappy had loved the brand and pursued it for years during Prohibition from its original owner S. Charles Herbst. It had been named for a bondsman (a security guard at a bonded warehouse who enforced federal tax policy) who had such a good palate for picking good barrels to pilfer from that his name became a byword for a good barrel. Herbst sold the brand after Prohibition shut him down. In Campbell's book Herbst asks for $25,000 but ends up selling for $10,000. On the Bourbon Enthusiast's excellent S-W timeline, the sale is listed as being for $4,000 in two payments in 1922 and 1925. Like a lot of Bourbon enthusiasts I've encountered Sitzel-Weller's Bourbons in a variety of independent bottlings since the distillery's closure. It has ended up in certain bottles from Willett's, Black Maple Hill, Michter's, Jefferson's Presidential Select 17 and 18, and, of course, Old Rip Van Winkle and Van Winkle Family Reserve. Some of these bottlings are really stunning. But the whiskey that Pappy himself considered the statement of his art was S-W's flagship brand: Old Fitzgerald. The time of closure represented by a 1997 dated Old Fitz BIB (courtesy of Joshua Scott). I'm also tasting a pair of Old Fitz Primes from the era of its introduction - the Julian Jr. period: an Old Fitz Prime decanter from 1970 (Mike Jasinski) and a pair of Italian export market minis sourced from a German auction house. Master dusty hunter Mike Jasinski was clearly a big part of this story, providing half the samples tasted. Kudos to Mike for both being able to find these in the wild and for generously sharing them in the interest of science. The idea is to get a sense of the flavor profile of this expression and how it evolved in the decades spanning the heyday to the final days. Color: Deep amber with reddish coppery tints. Palate: Sweet on entry with candy apple, musky malt, cherry, vanilla, and cognac rancio. The expansion is spicy and redolent of old dark oak. Oak tannin bitterness rises to meet the rancio and malted milk chocolate cherry sweetness. The turn to the finish is full of rich oak desk - fine polished furniture; herbal bitters, char and earth. Delicious darkly oaked Bourbon. With extra air it gets a little sour. The extra age here takes the wood flavors to new heights, but the body isn't as malty-rich as the nearly equally aged 7 1/2 year old BIB. Color Deep amber with rich reddish coppery tints, almost like a glass of Cocoa Cola but more reddish and less brown. Nose: Deep, plummy, round, and constantly evolving in the glass. Malted milk balls made with dark chocolate, dark cooked toffee, well cooked citrus compote containing preserved cherry, ginger, and baking spice. Cinnamon red hots and candy apples and the dark nutty vinous quality you find in old sherry and Spanish brandy. And, ultimately, oak: rich and deeply iterated oak. But not the sawn oak note you get so often in Bourbon; a rich furniture oak with sandalwood perfume. This whisky smells like time. 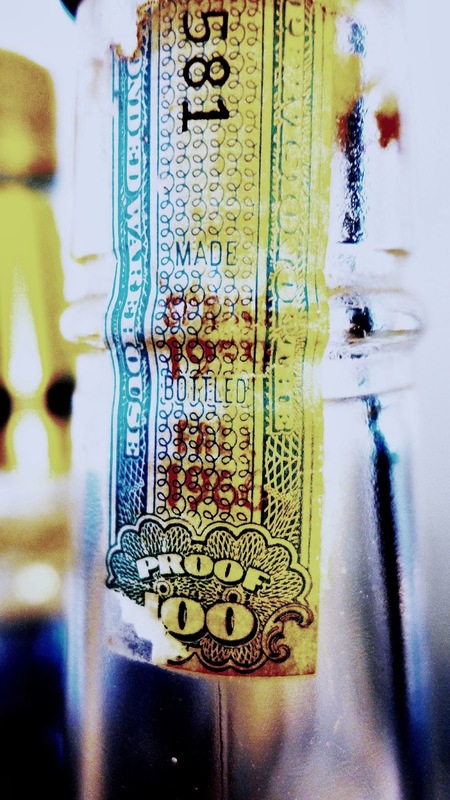 Over half a century in the glass, we can expect bottle maturation to have full play here. Dark and tannic, this one took weeks to open up. It was tight and astringent at first. As it opens it becomes glorious. Palate: Complex and evolving as well. Sweet and candied and at turns honeyed, the classic wheater notes are present: candy apple, sweet corn, peach citrus, and charred oak. But there is so much more - all in a dark palette. Molasses, malt, chocolate, oak char, oak tannins. This is full bore rich, dark whiskey. The combination of sweet and dark gives this bourbon enormous flavor amplitude. The progression of the palate works like this: Floral treacle sweet cherry vanilla on the opening at the tip of the tongue. A big spicy expansion full of mandarin orange, oak tannins, dark chocolate, malt, caramel, molasses and old brandy rancio take sway and never let go. At the turn robust hyper-detailed oak with darker notes of char joins the endless and continuing rancio and big brown sweet flavors and fade off into the sunset together with the mass of the attack moving across the middle of the palate to the rear in a stately and fully mouth encompassing way. The mouth feel is oily and thick. This is a masterpiece. It's a dark rich spicy pudding. This is a Bourbon that completely embraces its brown and rich flavors. Such Bourbon isn't made any more and it makes me want to cry. 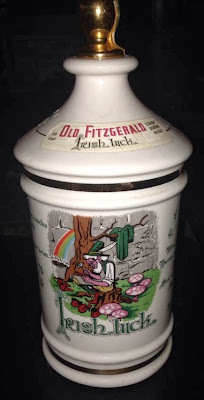 Old Fitzgerald BIB 6 year old crockery decanter ("Irish Luck") Spring 1966- Spring 1972 50% abv. Color: medium amber. Just a shade lighter than the '59-'66 BIB. Nose: similar but a tad drier than the '59-66 BIB. More citrus and cherry, and less vanilla floral sweetness, dark char and rancio. It's a year and half younger and you can smell it. Palate: Glorious in the classic Old Fitz ways: candy apple sweet on opening with nutty rancio, malted milk, and old preserved cherry vanilla. Darkly tannic at the turn, big oak dominates the turn and the finish. The balance seems better here than with the 1959-66, even while the heavy malt and rancio flavors that are so distinctive are less fully emphasized. Is this Julian's take? The same instincts leading Julian Jr. to start making Old Fitz Prime leading him to make a slightly younger less malty-funky expression of Old Fitz? It's clearly the same brand, same recipe and style - just turned a notch down in amplitude. (Thanks, Mike Jasinski, for the sample). While distilling ended for Old Fitz at S-W in 1991, Old Fitz continued being made with aging stocks of S-W juice for another half decade or so. This NAS Old Fitz BIB appears bottled in 1997 or 98. Given that the whisky in that bottle was laid down in 1992 at the latest, it must have been 5-6 years old, most likely. Nose: Candy apple, orange compote, orchid flowers, apricot nectar, floor varnish, and hints of pineapple and coconut. Palate: Big and floral opening - almost perfumed. Candy apple from the nose meets fruity cherry vanilla. Citrus and florals meet in the mid palate which brings a big dose of fragrant tannic oak. Darker notes of char, caramel and leather rise up in concert with the oak. There's a very nice balance to the three aspects - flowers, citrus, and dark oak and leather in the turn to the finish which isn't as long as you'd suspect, but full of the characteristic Stitzel-Weller Old Fitz rounded oaky bitters on the finish. It's remarkable how it's the same flavor profile as the 1966 stuff, but younger, sweeter, and more dynamic. 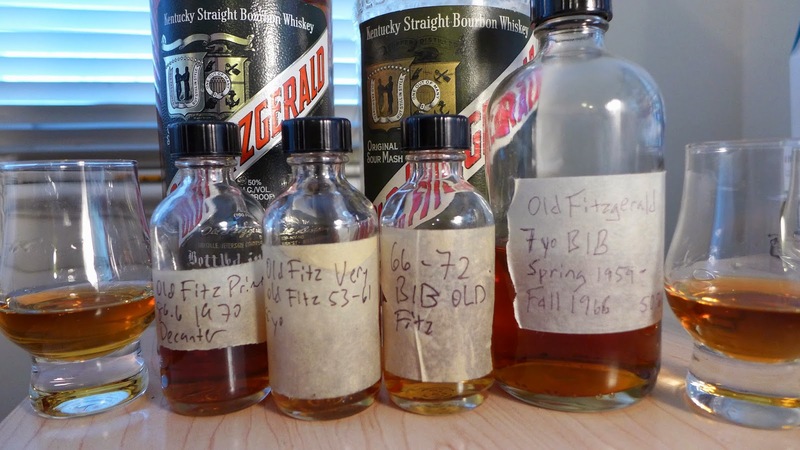 It's pretty clear that the Old Fitz product was being bottled younger and maybe was being barreled at a higher proof - but the recipe was the same. Tasted head to head with the 1966-1972 crock 6 year old version of Old Fitz it is a hair lighter and less malty-rancio rich, but only a hair. Frankly, I was surprised how close they were. I could never pick between them blind. 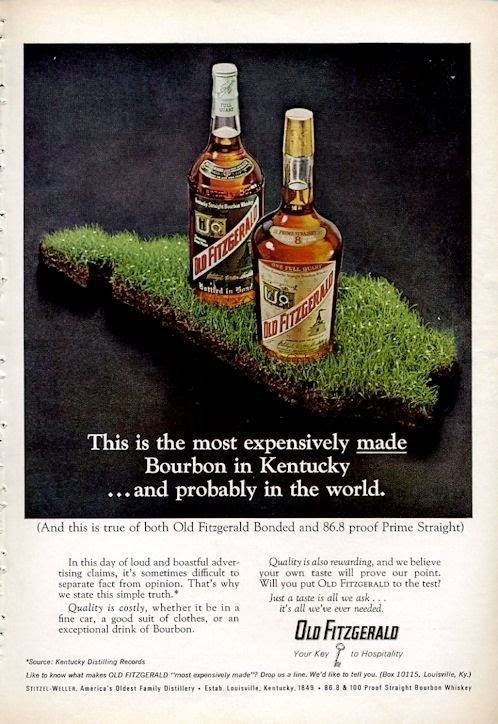 1966 ad announcing the new Old Fitzgeral Prime expression 86.8 proof. Old Fitz Prime Duck Decanter 1970 43.4% abv. Nose: dusky sandalwood oak, candy apple floral vanilla cherry compote. Sweet, fruity, dusky, musky oaky, and intense. Flavor: sweet with toffee, caramel, malted milk balls, a quality of Spanish dark brandy with dark sherry grape and rancio and a dose of floral vanilla on the opening. Succulent dark cherry joins at the expansion, with notes of chocolate, and even light and sweet coffee. Just beautiful. The added bit of dilution in the Primes takes the oak tannin intensity down a notch and opens the palate with more sunny sweetness, but at the expense of a bit of richness of mouth feel. This is an excellent and classic flavor profile. Despite the lower proof, one of the tastiest pours of the evening. The all gold color scheme of the late 50s turned into a gold and white two toned painted label mini like the ones here. By 1968 a paper label had replaced the painted one. Not technically a "Prime" at 43.4%, but an export version of the Bonded bottled at 43%. Nose: very similar to the decanter: sandalwood oak, candy apple, black cherry fruit, floral vanilla. The palate is also nearly identical: toffee sweet on opening with musky malted milk balls, dark cherry, floral vanilla, with a marked minty note as a distinguishing feature. Lots of fragrant oak. Really delicious. The Primes succeed because the added water helps sweeten and mellow the dark tannin oak of the 100 proof BIB. The trade off is the lighter mouth feel. Old Fitz 1959-1966 BIB. Look at the color! There is a remarkable unity in the flavors of the Old Fitzgeralds of the Sitzel-Weller distillery across the decades between the heyday and the end. It's a heavy and old fashioned style of whisky. 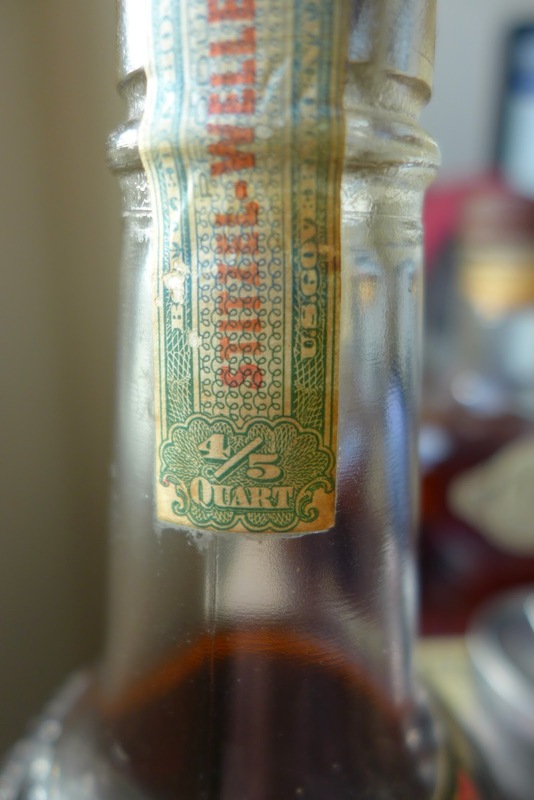 Dark sweet and sherry-nutty were more common attributes among Bourbons of the early 20th century. It was clearly inspiration for the first year Eagle Rare 101 from Old Prentice (the malted milk and rancio). For decades, S-W's whiskies were the only wheated mash bill whiskies around. So the various wheaters you find now are all descendants of these S-W whiskies. The crafting and attention to quality for which it is famed is immediately apparent. S-W Old Fitz is a lush and heady beauty. Candied, fruity, richly oaked. (Some would say over oaked). 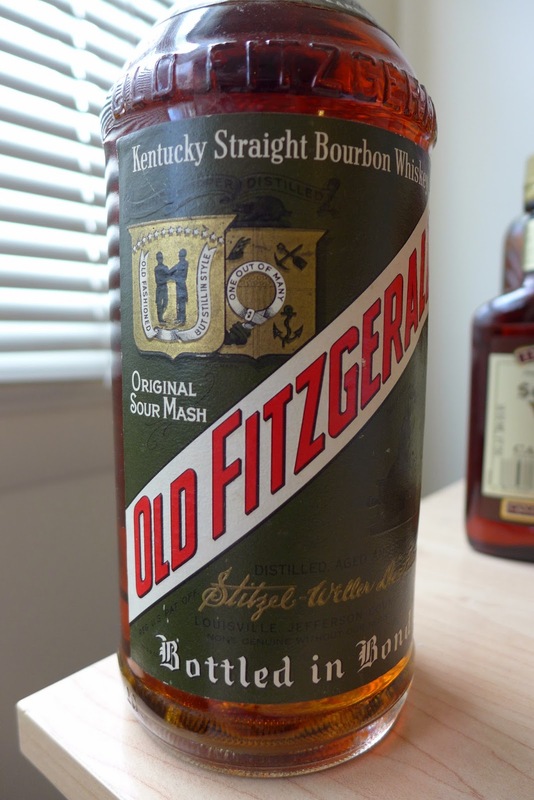 Old Fitz tastes old fashioned because that's the ideal of whiskey that Pappy had in his mind. Pappy wasn't going to compromise on anything to do with the whisky - and that whiskey was all he was going to do. In the end, Pappy stood for something. He made his stand on the topic of quality Bourbon in the way he understood it - timelessly - to be. Ultimately his fierce dedication to this inflexible definition of quality left his company too specialized on a type of whiskey that had become nonviable in the market to survive. It's a shame. Meanwhile, change is inevitable and isn't only about loss. You can love a mid-century American car and note that "they don't make them like they used to" while still driving and enjoying a new car - which has certain benefits. For example, compared to, say, Buffalo Trace's statement wheater - W.L. Weller from the Buffalo Trace Antique Collection, old Old Fitz is distinctive - but isn't unambiguously better. This shows me that the state of the art isn't necessarily lost. Although, clearly, something very special was indeed lost: a culture of the grace of old time Southern gentlemen, the passion of craftsmen, and a sense of commitment to keeping a tradition of excellence - family owned. Bottom line, Pappy's business was about family. And that human dimension was the first thing that disappeared into the maw of the culture of corporate behemoths. Pappy's name and the legend of his whiskey have become a mania in the Bourbon world at the current moment. People are scrambling for the brands that have become associated with his legacy and don't seem to care when what they are actually buying is a cleverly made Buffalo Trace replica. Old Fitz is now made by Heaven Hill and doesn't share S-W's lofty reputation among the hunters and the epicures. (I need to taste the new Old Fitz. It's not sold in my area - but I do get on the road from time to time.) My purpose with this post isn't to stoke the mania for S-W further. 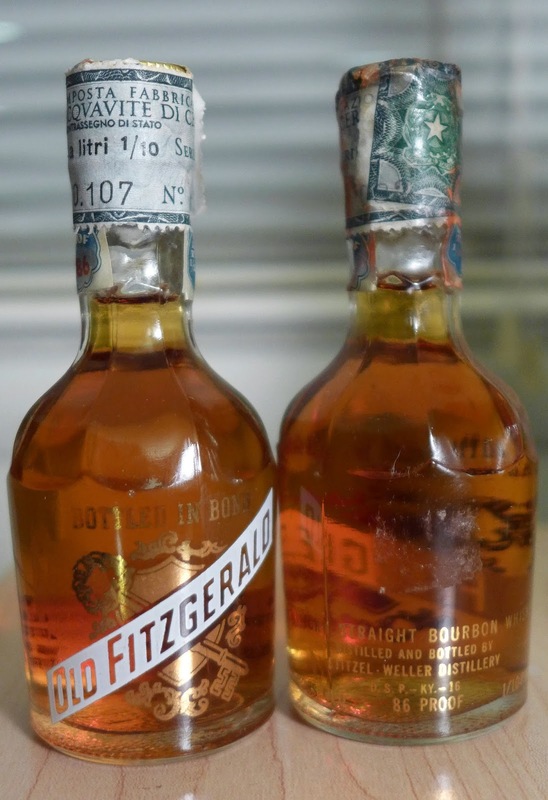 Auction prices are through the roof for Very Old Fitzgerald and vintage bottles of Old Fitz. The hype ship has already fully sailed. My purpose is to take a moment and remember Pappy's bourbon and try to understand what makes it great. The distillery tour in "Always Fine Bourbon" tells the story: Old Fitz was mashed a long time from carefully milled corn, barley, and wheat using a closely guarded old yeast and limestone aquifer well water (that is now no longer safe to use). It was barreled at a low proof into high quality custom made bespoke cooperage and aged a long time for Bourbon. It wasn't afraid of tasting rich 'n thick like "Old Man's" whiskey. In In order to move on we have to know where we've been. America isn't the same place it was in 1959 or 1965. That moment in history has passed, but with some passion and some love our best days may still be in the future. A year ago news came come out that Diageo is fitting Stitzel-Weller to restart Bourbon production there. So, Stitzel-Weller will soon be making Bourbon again. But, apparently, it won't be what we know of as Stitzel-Weller Bourbon. It will be Diageo's replica of Four Roses' expression of Bulleit Bourbon. And yet, Pappy's ideals are very much alive out there in the world of distilling. Update: As the story unfolded it became clear that production was not being restarted. Rather, Diageo converted the old office house into the "Bulleit Frontier Whiskey Experience" - a tourist destination on the Bourbon Trail to be the spiritual home of their Bulleit whiskey expressions (Bourbon and Rye) - neither of which has any connection with the distillery in any way, as far as I know.